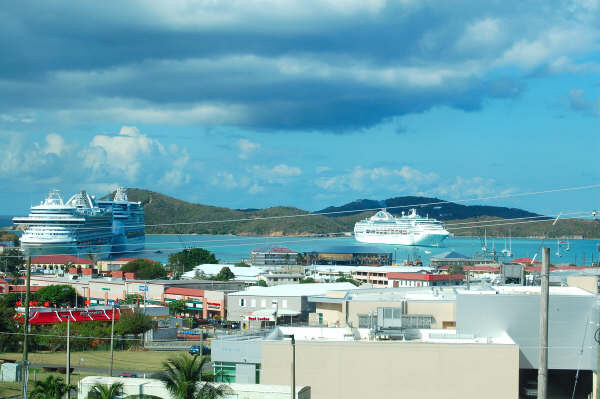 The St. Thomas Sleep Center is located in the new Paragon Medical Building, Suite #305, behind the Roy L. Schneider Hospital and Charlotte Kimmelman Cancer Center on the beautiful island of St. Thomas in the United States Virgin Islands. Non-stop airline service is available from Atlanta, Boston, Charlotte, Chicago, Ft. Lauderdale, Miami, New York, Newark, Philadelphia, St, Croix, St. Martin, San Juan and Washington DC. Ferry service is available from St. Croix, St. John and Tortola, BVI. Hours of Operation: We generally perform studies each evening from 7 pm to 7 am. Daytime testing for MSLT and complete sleep studies for night workers are also available. A receptionist is available to take your call 24 hours a day. Accreditation: We are accredited through the American Academy of Sleep Medicine. 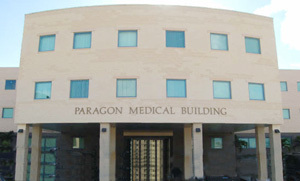 The new Paragon Medical Building is the premiere medical complex in the Virgin Islands. St. Thomas Sleep Center is a two-bedroom center offering the latest diagnostic and therapeutic modalities available. Each room is equipped with a full private bathroom, hairdryer and fresh towels, a private telephone line, intercoms, i-Pod docking station and a flat screen television with extensive satellite television selections and DVD player. The sleep center has one handicapped accessible room to ensure that we are able to meet everyone’s needs. A security and video-surveillance system and backup generator allow for sleeping easy and waking up refreshed. Accommodation is also available for parents to stay with their children, as well as spouses and caretakers to stay overnight for studies.